Diego Tea Table. Giacometti style table. Custom coffee table. Furniture of ancient Rome was the source of inspiration for the Diego Tea Table. Roman culture was influenced by the Etruscans, who in turn were influenced by the Greeks. The Etruscans spoke a unique language, unrelated to those of their neighbors. Their culture was influenced by Greek traders, and by the Greek colonists of southern Italy. The Etruscan alphabet was Greek in its origins. They in turn passed on their alphabet to the Romans. 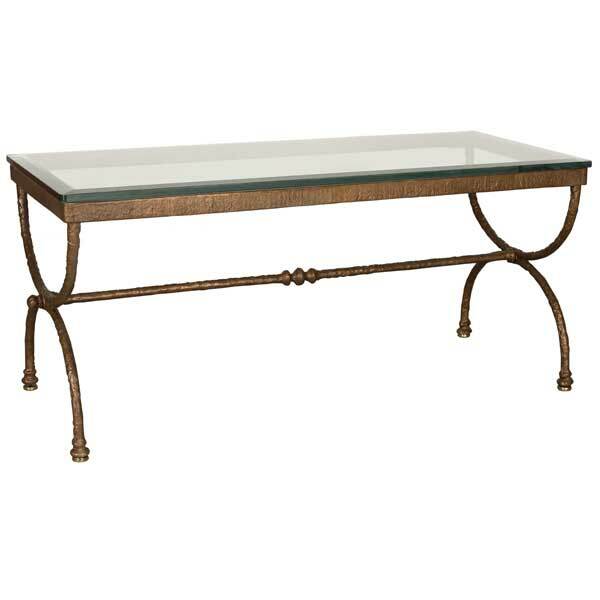 The Diego Tea Table base is designed for use with a thick glass top. The metal surface of the table base is beautifully textured in the manner of Giacometti. With its European style elegance, it makes an exceptional cocktail table for upscale residential and hospitality interiors. Robust metal construction allows it to support the heaviest top without shaking. Four polished bronze glides are provided which also serve as levelers – a useful feature when the floor is uneven. Custom sizing is available. The table base is offered in a variety of finishes. The Diego Tea Table was designed by Shah Gilani, ASFD. 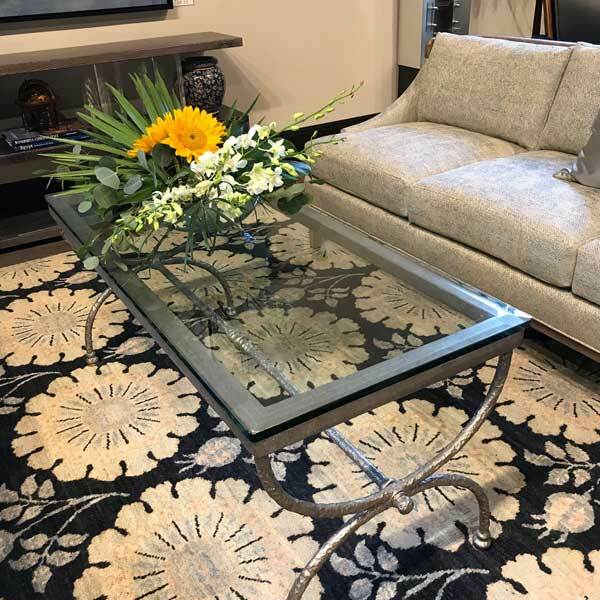 In addition to our standard product line, we specialize in designing and manufacturing custom furniture and lighting for high end residential and hospitality projects. Drawings are made and finish samples prepared for client approval before manufacturing.